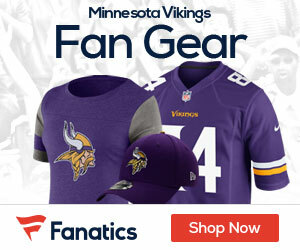 In an effort to both point out yet another good reason for the Vikings to stay in Minnesota and also to avoid back to back posts related to a certain mind-changing quarterback, I’ve decided to let you all know that the Vikings have done a great deed today. They have agreed to doante $50,000 to Les Bernard Athletic Field as part of the NFL’s Grassroots Program. “The Minnesota Vikings are proud to continue to support local projects that improve fields, football development and bring families and communities together through football,” said Lester Bagley, Vikings Vice President of Public Affairs/Stadium Development. The Vikings donation will be part of a $2.5 million overhaul of the field that will include many upgrades to existing facilities. The field is popular for youth football.